West Virginia Wesleyan College received a B+. Washington Monthly's ranking of 27 out of 346 of Baccalaureate Colleges - Overall Rank was a major contributor to this grade. "Located in Buckhannon, WV, about halfway between Pittsburgh and Charleston, small West Virginia Wesleyan dedicates itself to "learning based on fundamental principles formed at the intersection of Christian faith and liberal education." The school's Wesley Chapel has a very pretty soaring steeple, which sets the architectural tone for the campus." What is a typical West Virginia Wesleyan College student like? Describe the type of person that should attend West Virginia Wesleyan College. What are the top 3 reasons someone should attend West Virginia Wesleyan College? What was a typical West Virginia Wesleyan College student like in high school? Describe the type of person that should attend West Virginia Wesleyan College. Typically a Wesleyan student has an extremely athletic background. Nearly 70% of the students at Wesleyan are athletes. Students don't have to come from an athletic background, but that is the majority of the students here at Wesleyan. What are the top 3 things that students do for fun at West Virginia Wesleyan College? Campus housing is available for undergraduates. Housing deposit : $200.00. Freshman allowed to have car. No pets. 93% of freshman live on-campus. 25% of male students live in fraternities. 25% of female students live in sororities. A program that prepares individuals to apply business management principles to the management of theatres and production corporations. Includes instruction in theatrical production, theatre design and planning, fund-raising and promotion, investment strategies, human resources management, theatre operations management, marketing, public relations, financial management and insurance, and applicable laws and regulations. 51% of students graduated in the top quarter of their class. 26% of students graduated in the top tenth of their class. The average student pays $18,348 for tuition, fees, and other expenses, after grants and scholarships. Total stated tuition is $25,650, in-state and on-campus, before financial aid. 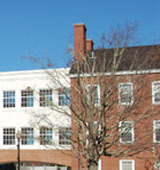 Learn more about financial aid at http://www.wvwc.edu/admission/financial_aid/. Estimate the net price for you at http://www.wvwc.edu/admission/financial_aid/netpricecalculator/npcalc.htm. 43% of students graduated on time. 60% of students graduated in six years. West Virginia Wesleyan College participates in the NCAA Division II for college athletics. Want more info about West Virginia Wesleyan College? Get free advice from education experts and Noodle community members.